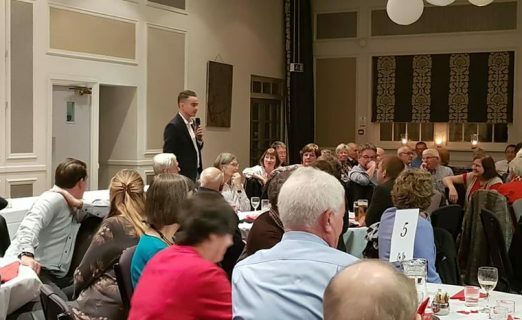 On Sunday evening, after the national beacon lighting, over 120 guests made their way to the Spread Eagle to celebrate their involvement in the 4 year long project. Mike Dyer and David Bretherton bought the project to a close, on an evening of reflection, First World War entertainment from Thame Players and recollections of memorable deliveries. They thanked the steering group, those who helped raise awareness and the profile of the project and every single individual who helped to deliver the 212 crosses and wreaths across the globe. A truly inspiring and worthwhile community achievement that is indicative of the town we live in.